I am so happy that we diligently followed our preschool homeschool activities for 2 consecutive days! We can't wait to finish our remaining lessons for this week. Plotting out our daily lesson plan on the first day of the week proved to be effective for Team Rio ( members: Nanay, Tatay, Lola and Rio). Following a plan to chart our "letter of the week" activities gave us that inspiring push, positive pressure and necessary order to our informal and unstructured preschool homeschool curriculum. I am planning to make free weekly planners in the future and share it here in the blog for our fellow preschool homeschool families to download. First, I have to catch up on my hand lettering practice so I can put them on my free homeschool weekly planner. We're only a few letters away of completing our preschooler's name ( nickname + surname, to be exact!). We are now including sight words in our weekly lessons. 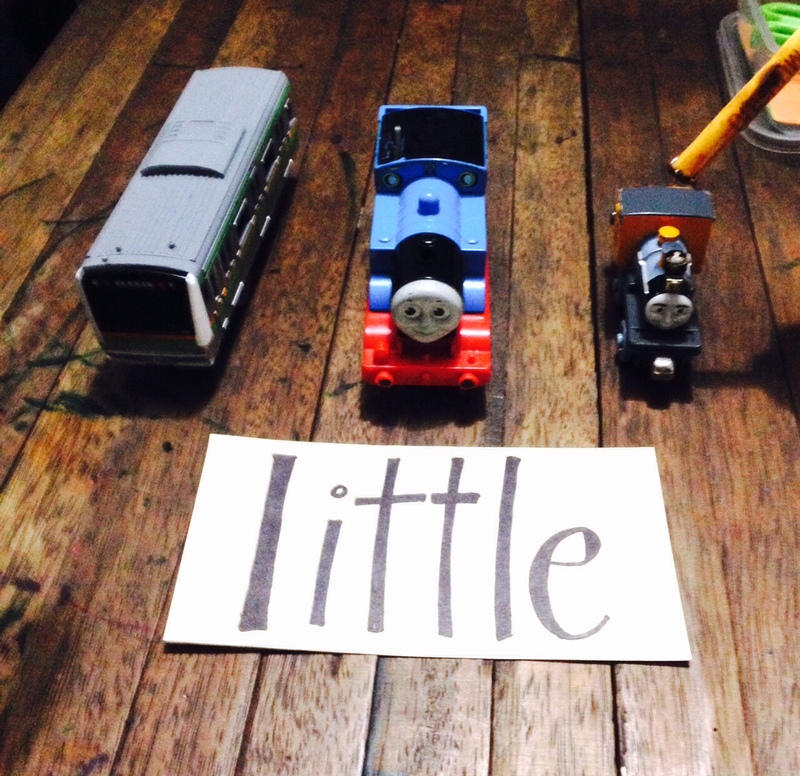 We will munch on the word LITTLE this entire week! We have a column for the books WE ( yes, including the teachers!) plan to read for the week.The last column is for our observations and short assessment of our study session for the day. This is very important for us to keep track of our son's strengths and weaknesses as we grow in our homeschool journey together. It also serves as a constant reminder that this entire journey is more about our son and NOT us. Lastly, we are starting with a new project, and it really comes with a hashtag! We will begin documenting our Teachable Moment Of The Day #TMOTD. As I shared in my first #TMOTD post in Instagram, we think we'll do better in this daily challenge than posting our boring outfits of the day. We take the challenge of learning how to capture that moment, when we think we are just playing but we are actually having a "teachable moment" with our son. We all need your support and cheers in our homeschooling projects. Isang bagsak naman para sa Team Rio! Pak! Nanays, do you make weekly lesson or activity plans for your children? Share us how your week looks like. Join us in sharing our #TMOTD in Instagram (@nanaystrip). If you are planning to give books as Christmas presents, don't miss Aginaldong Adarna starting on November 15! It's our last chance to buy these well-loved Filipino children's books for P55.00! Tara na! Kitakits sa Adarna! I'm just starting to explore Blog Society but I'm already loving it! I'm still waiting for the details of their coming e-course on digital bravery. It was just surreal that I landed on this site (thanks to an FB post shared in one of my groups) at the perfect time when I'm pursuing my own #BraveBlogging challenge . This post "Personal Blogging: Is Sharing Really Caring?" is very interesting. 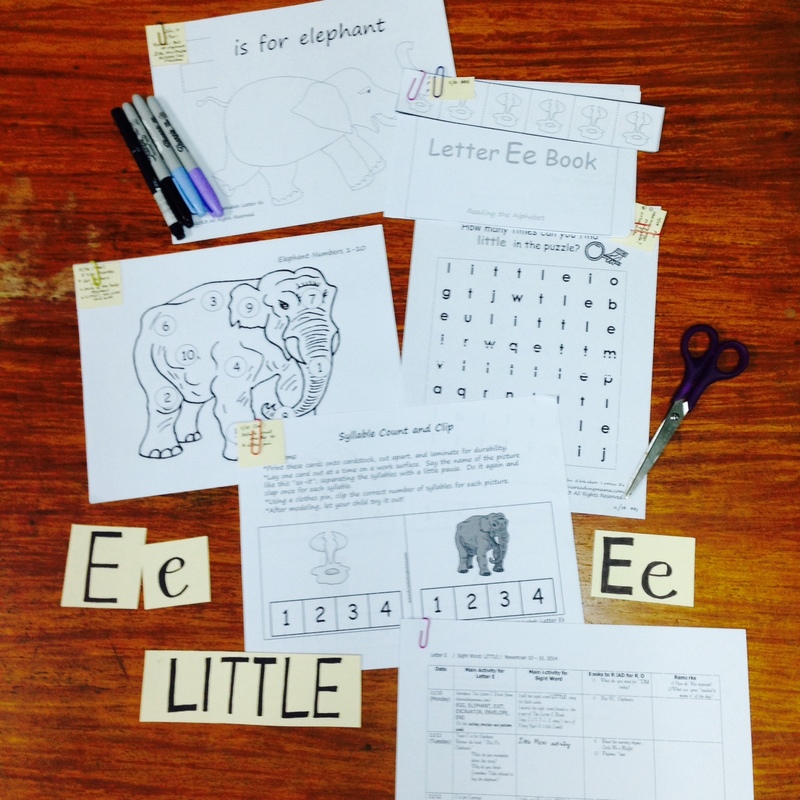 Thank you to This Reading Mama for generously sharing her Letter E lesson plan! Teacher Nanay Nadia is also a newbie mompreneur! Maestro Rio Shop, our small family digital printing business, prints personalized shirts, mugs, pillows and a lot more customized stuff. Please give us some love this Christmas by liking our Facebook page. Maraming salamat! And what is Blog Society? Will explore later! Good Job! Isang malaki ng bagsak! I am planning to home school my LO and I will look forward for all your homeschooling activities. That will be a great help for me. Thanks for sharing this and Kudos Team Rio! Cheers Team Rio! You inspire us talaga new moms and plan ko din mag homeschool for may baby A. You're doing a good job! I just admire parents who do homeschooling! Keep it up! We are planning to home school my youngest son. Sana makayanan ko lahat because of tight schedule, kakayanin for my Yvan. Keep up the good work Team Rio! Good job tayo diyan ♥ Bookmarked this post as well :) Thanks! Hello Kat! I've seen in FB that you wrote your preschool homeschool activities last October. Excited to read the activities you did with your little one. Kaya natin 'to! Kitakits soon! Hi May! Have you dropped by Blog Society's site? Explore, explore mode din muna ako doon. Re: Weekly planner. Besides practicing my hand lettering, I still have to ask friends in our groups how to make documents for download and link it in a blog post. Haha. Alam mo paano? Simple worksheets but super helpful di ba? I'll check out her Pinterest too. Thanks, Michelle! You have time to prepare pa Mommy Rackell! Masaya mag-homeschool ngayon lalo na ang daming mommies na very supportive offline and online. Kitakits sa IG! yey! next playdate at the park, for sure Rio will read with Gab the names of trees, bushes, etc! Congratulations again for seeing you back again in blogging mommy nadia! I super envy you for being creative and hardworking.